HUGE ONE BEDROOM APARTMENT in SOUTH YARRA/PRAHAN+ COURTYARD\CARPARK ( ONLY available June 4th to Sept 4th) - Fully furnished . Fully equipped. 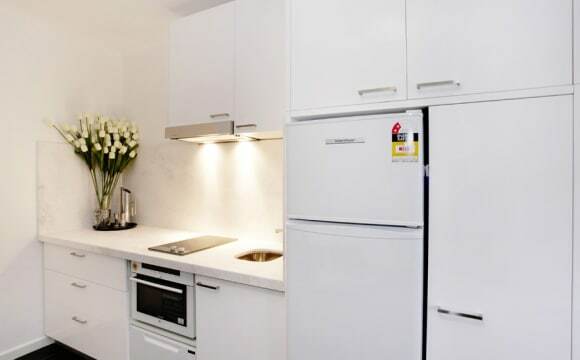 - All bills included ( power water internet) - Drive way / Courtyard/ on-site carpark - Next to Prahran Market / Chapel Street - Close to Train : South Yarra / Prahran - Close to Tram: Commercial Rd / Chapel - Heaven for Chapel Street eats/shops - Reverse Cycle Heating and Aircon - Monthly cleaning of floors / surfaces This large stylish apartment is perfect for a professional couple (31+) or a professional single (31+) wanting a private apartment in a fantastic location. ONLY AVAILABLE FOR A SET 3 MONTH RENTAL from JUNE 4th to SEPT 5th ALL INCLUSIVE PRICE $595 per week Inc : power/water/gas / internet/car park Use the courtyard to Park . Or . Close the gates .... and use as a lovely courtyard . Enjoy all the wonderful things that Melb has to offer. Buy your gourmet foods at the famous Prahran Market next door . Buy your essentials at Aldi 1 min down the street ! Have wonderful dinners and drinks and shop along Chapel Street and laneways. Walk or Ride through Fawkner Park and Botanical Gardens into Melb City. It’s such a fantastic place to live. Why share? Why not have your own place? This beautiful one-bedroom, elevated ground floor apartment with a carspace captures natural light and a private outlook from each window. Positioned within a neatly maintained boutique complex and located only a short stroll away from Fawkner Park, the Royal Botanic Gardens, trams, South Yarra Station and an assortment of eateries and boutiques in Toorak Road, the generous layout offers a wide entrance, a living and dining area boasting electric panel heating and large windows generating the perfect place to relax and entertain. A meticulously renovated kitchen is fully appointed with a dishwasher and sparkling white push press cabinetry and a spacious master suite features built in robes and a full bathroom with shower over bath. 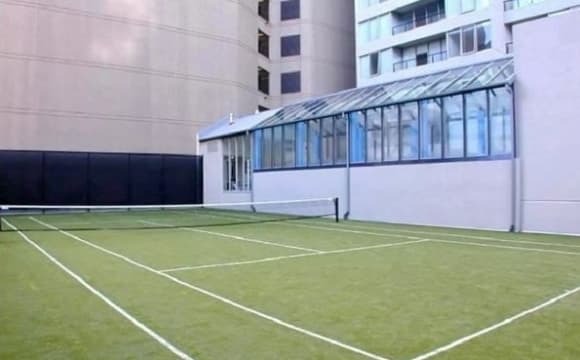 Ideally located in Prahran, features a modern, 1-bed apartment with a large balcony. 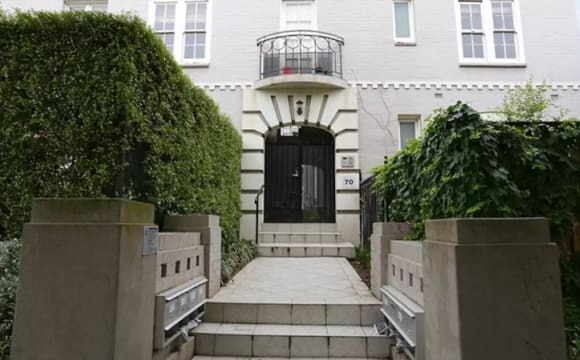 It is within 2 minutes' walk of Prahran Market and several shops, cafes and restaurants. Chapel Street shopping precinct is 3 minutes' walk away. The air-conditioned apartment offers a fully equipped kitchen and internal laundry facilities. Spacious lounge area with a sofa suite, a 55in flat-screen TV and Netflix. This lovely 1-bedroom apartment is situated in a quiet block just a stone throw away from Chapel Street's cool bars and quirky restaurants. Gorgeous space with great views, WiFi, Netflix, BBQ facilities, comfortable double bed and a study corner suitable for business professionals. Easily accessible by bus, tram and train. 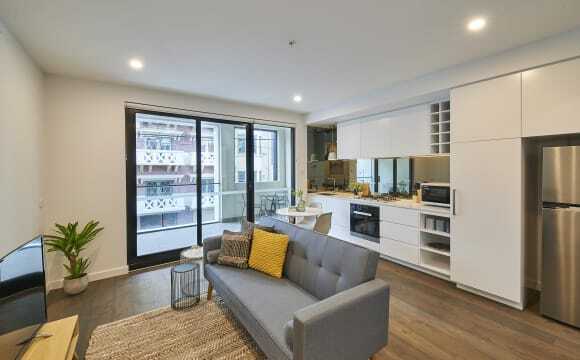 3 min walk to Prahran Train Station and Tram 72 will take you to the city and Southbank. Tram 72 (Porter Street Stop) on Commercial Road just around the corner from the apartment. Buses to and from city also stop on Commercial Road. Available for 4 weeks only from 15th May - 15th June Includes all bills Available for inspection now Thanks! Spacious Fully furnished 1 bedroom apartment close to CBD This apartment comes with utilities and wifi fully included. Availability: Now Rental Length: Minimum 28 days Features: Wifi included Balcony Heater Laundry Swimming pool Indoor Secured Carpark TV Smoke alarm Lift Air Condition This 1 bedroom apartment is spacious in a great location. Walk to Botanical Gardens, CBD, Southbank and cafes. Great for Business travellers visiting the many company head offices along St Kilda road - or if here on an extended holiday. The CBD is a short 5min tram ride away! 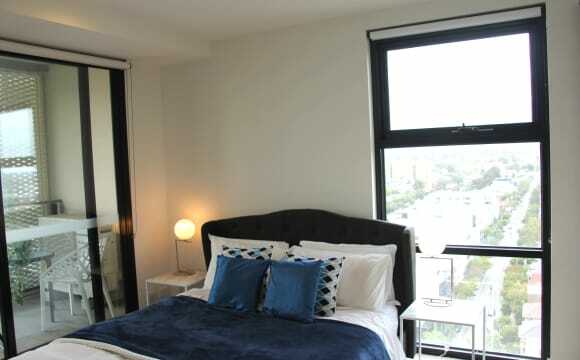 Charming enormous light filled one bedroom, one bathroom apartment with enclosed balcony. Located in historical mansion with only 5 other apartments. The apartment includes one car space in secure basement car park. Swipe security. Dishwasher and drier included - space for washing machine. Gas stovetop, ducted heating and cooling. Modern bathroom with shower over bath. Included in rent is swipe entry access to gym and indoor heated pool. Central location - opposite Albert Park lake, 100m from St Kilda road trams, 5 minute walk to the Alfred hospital and 1km from chapel street precinct. The apartment features large windows with views of golf course and leafy street. Toorak Melody - an ultra sleek modern kitchen with an emerald looking glass splashback, a generous sized renovated bathroom with modern appliances, a brand new luxury queen sized bed in a serene and spacious bedroom, and an extra comfy high quality double sofa bed for extra guests in the lounge. Main Features - All included - power, water, gas, furniture, appliances, linens, towels, toiletries, essentials, basic utilities - Unlimited WiFi - Netflix - Capsule Coffee Machine - Furnished - Views - Free Parking - Superb location - Pets friendly This renovated Victorian style unit is styled to ensure you can feel like your at home. 1 flight of stairs above ground level, 1 bed 1 bath with permit parking, 120 meters walk (less than 2 mins.) 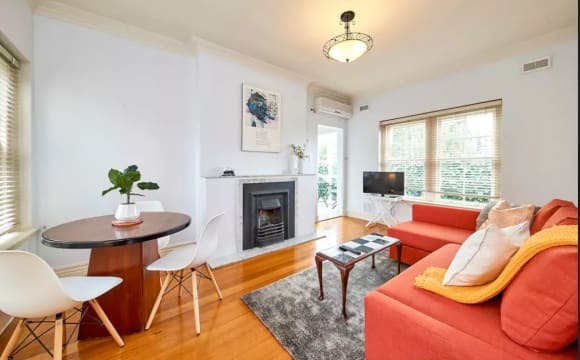 from tram 58, 6 tram stops from South Yarra Station, your business trip and holiday home has just gotten itself all sorted! Free Wi-Fi, Netflix, reverse-cycle split system air conditioning and heating located in the living room. Don’t forget your little furry friend as we love to have small dogs stay. Located in Toorak, one of Melbourne’s most elegant and stylish suburbs, you are surrounded by leafy streets, incredible cafes, restaurants and high-end shopping. This one bedroom unit is spacious with gorgeous period style charm, including an ornamental fireplace, polished wooden floorboards and high ceilings to suit. All the beauty of the old blended in style with the luxury of new thanks to a flash recent renovation. Facilities The one-bedroom apartment is spacious with gorgeous period style charm, including the featured photo open fireplace and polished wooden floors. All the beauty of the old blended in style with the luxury of new thanks to a flash recent renovation. You’ll find bright sunny rooms, clean open spaces, a sleek kitchen with all the trimmings, and a modern bathroom with laundry facilities. The floor to ceiling windows lead out to an enclosed balcony with city views, perfect for an evening beer. The entire apartment offers split system climate control so you are comfortable no matter the weather. Modern and well equipped kitchen with Gas Stove, Miele Oven, Microwave, Stainless Steel appliances, Dishwasher, Pots, Pans, Utensils, reverse-cycle split system air conditioning and heating located in the living room, iron and ironing board, Washing machine, 32" TV with Netflix, WIFI, Complimentary permit parking, and a private courtyard. Outside is just as friendly with a beautiful shared courtyard at the front and green enclosed private courtyard out the back for a sunny breakfast, coffee or glass of wine at your leisure. Sometimes as you sit back to relax, the birds start chirping away in the neighbourhood, as if you are a located next to the CBD, yet living the ultimate suburban lifestyle where trees, birds, nature, and peace fill the air. 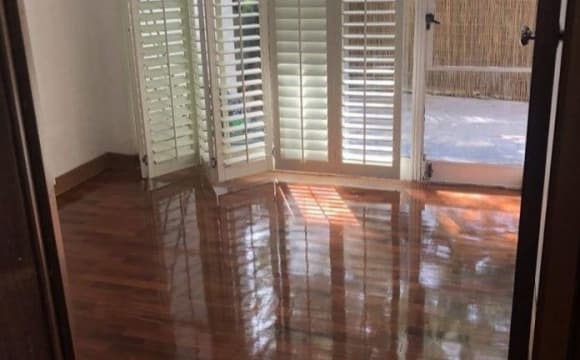 Extras - Fortnightly cleaning packages are available for additional $100/week - This apartment sleeps up to six people. Fees &amp; Rates - A cleaning fee of $150 will apply for cleaning the apartment after your stay. The fee will be taken from the bond and is dependent on the level of cleaning required to prepare the apartment for the next stay - We do our best to accommodate the prices detailed in this ad, however, prices may change if the length of your stay is less than 1 month or if your stay is not commencing within 1 week of the availability date - please inquire Seasonal Rates: Jan - $810/week Feb - $810/week Mar - $710/week Apr - $710/week May - $710/week Jun - $660/week Jul - $660/week Aug - $710/week Sep - $710/week Oct - $710/week Nov - $710/week Dec - $810/week Send us the dates you would like and we will quote a fixed weekly price for your stay. Contact now to organise your personal inspection. **** PLEASE READ THE AD DESCRIPTION Till END WHERE SEASONAL RATES ARE **** LUXURY IN ST KILDA✦MODERN 1-BED ENSUITE✦ALL INCLUDED✦FURNISHED✦WiFi✦NETFLIX✦PARKING✦PETS FRIENDLY✦1 WEEK MIN STAY✦2 WEEK BOND Located in a new luxury boutique apartment complex “The ICON”. Newly furnished and decorated by renown Melbourne based interior designer. The perfect location between the popular St Kilda beach and the scenic Albert Park Lake. The apartment resides in a classic St Kilda neighbourhood, with a well-balanced lifestyle of old and new, day and night. Minutes walk to Fitzroy St, cafes, fine restaurants, supermarket, public transport, airport shuttle, Albert Park Lake, and a short walk to the beach. 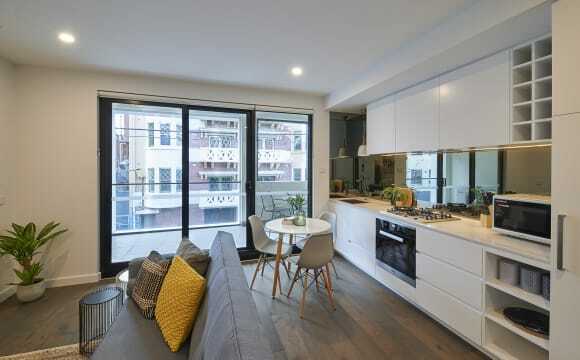 Ideal home for professionals, the apartment enjoys close proximity to 6 trams heading directly to the CBD and to St Kilda Road business precinct where multinational corporations, financial institutions and foreign embassies reside. 5-min bike ride to Alfred Hospital, this is a perfect home for medical practitioners. Main Features - All included - power, water, gas, wifi, netflix, apple TV, furniture, appliances, linens, towels, toiletries, essentials, basic utilities - Unlimited WiFi - Netflix - Secured entrance - Secure underground parking - Superb location - 17th floor - AMAZING VIEWS - Minimum stay - one week - Bond - two-week rent Fees &amp; Rates - a cleaning fee of $130 to $250 will apply for cleaning the apartment after your stay. The fee will be taken from the bond and is dependent on the level of cleaning required to prepare the apartment for the next stay - we are doing our best to accommodate the prices detailed in this ad, however, prices may change if the length of your stay is less than 1 month or if your stay is not commencing within 1 week of the availability date - please inquire The displayed price is applicable when you rent the place for at least 1 year otherwise the price may be determined according to the following seasonal rates: Sep - $689/week Oct - $859/week Nov - $859/week Dec - $959/week Jan - $959/week Feb - $859/week Mar - $859/week Apr - $859/week May - $749/week Jun - $749/week Jul - $749/week Aug - $689/week *prices may change according to market trends, please inquire Contact now to organise your personal inspection. Entire apartment,homely feel with patio,excellent condition,cosy ambience with warm gas fire place in amazing location. Hi Guys, We have a gorgeous apartment, located right on St Kilda RD, with tram stops right outside! 15mins from the city and only 1km walk to chapel st or Acland street. St Kilda beach is just a short walk away. Looking to lease short term while we’re on holiday. Ideal spot for a couple or single looking to spend some time in Melbourne. The place will come fully furnished. 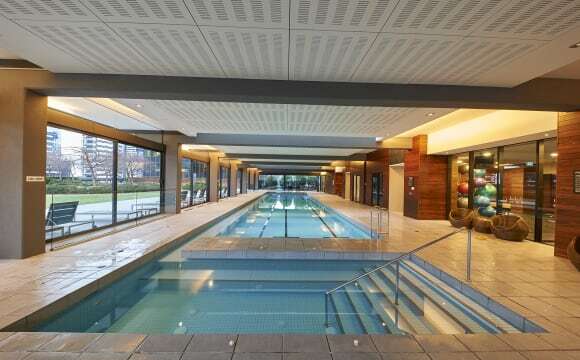 The building has great amenities including, gym, pool, sauna and steam room! Plenty of street parking available. All bills included in rent. No smokers or pets allowed. Let me know if your interested! Gorgeous 1 bedroom apartment within a converted mansion, very conveniently located in a residential and leafy avenue off Barkley st St Kilda. Exceptional quality, Full of natural light, open gas fireplace, ensuite bathroom and own patio. Ideal for a single person or couple. Looking for someone to take over the lease (9-10 months) with flexibility to take it for longer if you wish to. Interested and suitable applications will be forwarded to the agent. Please contact me for details. Available from mid May onwards (dates flexible). **** PLEASE READ THE AD DESCRIPTION Till END WHERE SEASONAL RATES ARE **** LUXURY IN ST KILDA✦MODERN 1-BED ENSUITE✦ALL INCLUDED✦FURNISHED✦WiFi✦NETFLIX✦PARKING✦PETS FRIENDLY✦1 WEEK MIN STAY✦2 WEEK BOND Located in a new luxury boutique apartment complex “The MARC”. Newly furnished and decorated by renown Melbourne based interior designer. The perfect location between the popular St Kilda beach and the scenic Albert Park Lake. The apartment resides in a classic St Kilda neighbourhood, with a well-balanced lifestyle of old and new, day and night. Minutes walk to Fitzroy St, cafes, fine restaurants, supermarket, public transport, airport shuttle, Albert Park Lake, and a short walk to the beach. 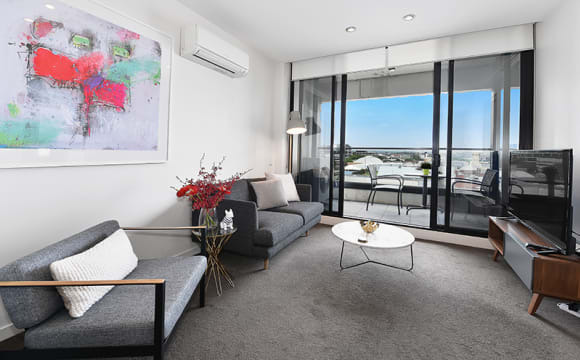 Ideal home for professionals, the apartment enjoys close proximity to 6 trams heading directly to the CBD and to St Kilda Road business precinct where multinational corporations, financial institutions and foreign embassies reside. 5-min bike ride to Alfred Hospital, this is a perfect home for medical practitioners. Main Features - All included - power, water, gas, wifi, netflix, apple TV, furniture, appliances, linens, towels, toiletries, essentials, basic utilities - Unlimited WiFi - Netflix - Secured entrance - Secure underground parking - Superb location - Pets friendly - 1st floor, 54 sqm - Minimum stay - one week - Bond - two-week rent Facilities The potential tenant will enjoy the apartment’s brand new appliances, timber floor, bedroom carpets, bathroom Italian tiles and ample wardrobes. Modern and well equipped kitchen with four burner gas stoves, oven, microwave and dishwasher, stainless steel appliances, pots, pans, utensils, storage space, split system air conditioning and heating, iron and ironing board, hairdryer, clothesline, European washer and dryer combo, 49" smart LED TV with Netflix, WiFi, free underground secured parking, private outdoor balcony, and other amenities Bedrooms - Master ensuite bedroom with one queen spring pocket bed - Living room with one sofa bed (2 persons) Extras - Fortnightly cleaning packages are available for $55-$70/week - This apartment sleeps up to six people. For every extra tenant after four, there will be an additional charge of $20/night. - Pets: for stays shorter than 2 weeks a pet fee of $40 will apply. For longer stays, a pet fee of $10/week will be added to the rent. Fees &amp; Rates - a cleaning fee of $130 to $250 will apply for cleaning the apartment after your stay. The fee will be taken from the bond and is dependent on the level of cleaning required to prepare the apartment for the next stay - we are doing our best to accommodate the prices detailed in this ad, however, prices may change if the length of your stay is less than 1 month or if your stay is not commencing within 1 week of the availability date - please inquire The displayed price is applicable when you rent the place for at least 1 year otherwise the price may be determined according to the following seasonal rates: Sep - $649/week Oct - $809/week Nov - $809/week Dec - $909/week Jan - $909/week Feb - $809/week Mar - $809/week Apr - $809/week May - $699/week Jun - $699/week Jul - $699/week Aug - $649/week Contact now to organise your personal inspection. Welcome to your home at St Kilda's new exclusive iconic building! Freshly built, conveying style &amp; comfort, designed professionally for your enjoyment. Newly furnished and decorated, 1 bedroom 1 bathroom apartment located in the heart of one of Melbourne's most trendy and cosmopolitan suburbs. Main Features - All included - Power, water, gas, Smart TV, furniture, appliances, linens, towels, toiletries, essentials, utilities inclusive - Free Secured Parking! - Unlimited WiFi - Netflix - Furnished - Secured entrance - Superb location - Pet friendly - Weekly or fortnightly cleaning available (at extra charge) Furnished by renown Melbourne based interior design company, this is the perfect place to spend your family holiday, romantic getaway, business venture, or a friendly reunion, it does not get much better than this! If you are a foodie, you are minutes' walk from some of Melbourne's best restaurants cafes and bars on the famous Fitzroy Street. If you work in the city, various public transportation is available for you. If you are the athletic type, you have the Albert Park Lake at your doorstop. If you are the romantic type, you are 10 minutes away from the ever so beautiful St Kilda beach, where the sight of sunrise and sunset over the horizon will simply take your breath away. Your accommodation includes a beautiful bedroom with great light, and modern furnishings. There is a luxurious queen bed. This property offers a generous sized balcony for alfresco dining and your morning or afternoon cup of tea. The entire apartment offers split system climate control so you are comfortable no matter the weather. Feel at home from the moment you arrive and just relax at the lounge with a 49" Smart LED TV with Netflix and Wi-Fi. Modern and well equipped kitchen with Miele Gas Stove, Oven, Microwave and Fisher and Paykel Dishwasher. Stainless Steel appliances, Pots, Pans and Utensils. Fees &amp; Rates - A cleaning fee of $150 will apply for cleaning the apartment after your stay. The fee will be taken from the bond and is dependent on the level of cleaning required to prepare the apartment for the next stay - We do our best to accommodate the prices detailed in this ad, however, prices may change if the length of your stay is less than 1 month or if your stay is not commencing within 1 week of the availability date - Fortnightly cleaning packages are available for additional $60/week Please see the seasonal rates: Apr $859/week May $749/week Jun $749/week Jul $749/week Aug $689/week Sep $689/week Oct $859/week Nov $859/week Dec $959/week Jan $959/week Feb $859/week Mar $859/week Contact now to organise your personal inspection and for a specific quotes based on the dates you want to stay. **** PLEASE READ THE AD DESCRIPTION Till END WHERE SEASONAL RATES ARE **** LUXURY IN ST KILDA✦MODERN 1-BED ENSUITE✦ALL INCLUDED✦FURNISHED✦WiFi✦NETFLIX✦PARKING✦PETS FRIENDLY✦1 WEEK MIN STAY✦2 WEEK BOND Located in a new luxury boutique apartment complex “The MARC”. Newly furnished and decorated by renown Melbourne based interior designer. The perfect location between the popular St Kilda beach and the scenic Albert Park Lake. The apartment resides in a classic St Kilda neighbourhood, with a well-balanced lifestyle of old and new, day and night. 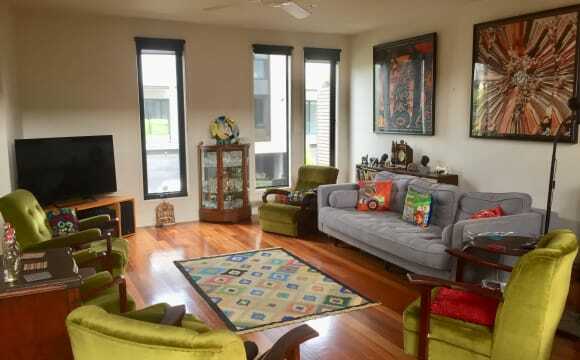 Minutes walk to Fitzroy St, cafes, fine restaurants, supermarket, public transport, airport shuttle, Albert Park Lake, and a short walk to the beach. Ideal home for professionals, the apartment enjoys close proximity to 6 trams heading directly to the CBD and to St Kilda Road business precinct where multinational corporations, financial institutions and foreign embassies reside. 5-min bike ride to Alfred Hospital, this is a perfect home for medical practitioners. Main Features - All included - power, water, gas, wifi, netflix, apple TV, furniture, appliances, linens, towels, toiletries, essentials, basic utilities - Unlimited WiFi - Netflix - Secured entrance - Secure underground parking - Superb location - Pets friendly - 2nd floor, 54 sqm - Minimum stay - one week - Bond - two-week rent Facilities The potential tenant will enjoy the apartment’s brand new appliances, timber floor, bedroom carpets, bathroom Italian tiles and ample wardrobes. Modern and well equipped kitchen with four burner gas stoves, oven, microwave and dishwasher, stainless steel appliances, pots, pans, utensils, storage space, split system air conditioning and heating, iron and ironing board, hairdryer, clothesline, European washer and dryer combo, 49" smart LED TV with Netflix, WiFi, free underground secured parking, private outdoor balcony, and other amenities Bedrooms - Master ensuite bedroom with one queen spring pocket bed - Living room with one sofa bed (2 persons) Extras - Fortnightly cleaning packages are available for $55-$70/week - This apartment sleeps up to six people. For every extra tenant after four, there will be an additional charge of $20/night. - Pets: for stays shorter than 2 weeks a pet fee of $40 will apply. For longer stays, a pet fee of $10/week will be added to the rent. Fees &amp; Rates - a cleaning fee of $130 to $250 will apply for cleaning the apartment after your stay. The fee will be taken from the bond and is dependent on the level of cleaning required to prepare the apartment for the next stay - we are doing our best to accommodate the prices detailed in this ad, however, prices may change if the length of your stay is less than 1 month or if your stay is not commencing within 1 week of the availability date - please inquire The displayed price is applicable when you rent the place for at least 1 year otherwise the price may be determined according to the following seasonal rates: Sep - $649/week Oct - $809/week Nov - $809/week Dec - $909/week Jan - $909/week Feb - $809/week Mar - $809/week Apr - $809/week May - $699/week Jun - $699/week Jul - $699/week Aug - $649/week Contact now to organise your personal inspection. 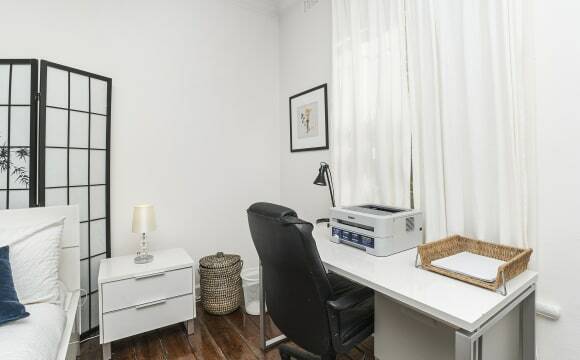 Get your own beachside studio in the heart of St Kilda, on Fitzroy Street! A 2 minute walk to the beach. A 15 minute tram ride to the city, right out your door. I have several apartments in this buidling. The location is just amazing. Prices range from $550 to $400 per week depending on which apartment (some have TV, bath, etc). Short or long term options are availalbe - Great for a couple, backpackers, professionals, solo travellers - Coin operated Washing Machine &amp; Dryer on site - Fresh sheets, towels, soap provided - There is one bedroom, bathroom, kitchen. - Communal BBQ - 7 day Free Gym Pass - Fully furnished (fridge, utensils, bed, closet). - Trams outside the building take you to the city in 15 minutes. - 7/11, Bars, cafe's, are downstairs! - Pharmacy, Bottleshop also downstairs - Post office 2 minute walk - Supermarket 5 minute walk - Massive communal terrace with hammocks - Cool vibes Some things to note - 1 week bond - need up to 7 days notice if leaving. - All bills are included - Electricity, Gas, Water, WiFi. - Up to $150 of electric bills paid per month (to avoid heater being left on). - Only tenants may access communal courtyard - No parties - if remote &amp; key lost a $100 replacement is required. BEACH FRONT ONE-BEDROOM APARTMENT RECENTLY RENOVATED On Beaconsfield Pde directly OPPOSITE ST KILDA BEACH. Step out of the front door and admire the view of lawns, sand, beach and yachts. 100 meters from the Fitzroy St Entertainment Precinct of St Kilda, Prince of Wales Hotel, bars, restaurants and shops. Secure, Clean and Comfortable. SUIT 3 TRAVELLERS ON WORKING HOLIDAY VISAS (Currently configured with a Bunk and Single Bed. Can be altered to suit your needs) FULLY FURNISHED *SPACIOUS KITCHEN -Fully Equipped *STOVE/OVEN - full size *FRIDGE - Large *BATHROOM - En-suite *Complete Bedding *Ample Storage Cupboards *On-site Communal Laundry $3 wash. CLOSE TO: *ST KILDA BEACH *Fitzroy St; Acland St shops, cafes, restaurants and bars *Luna Park *Trams 3A, 16, 96 &amp; 112 - 20 Minutes to City. 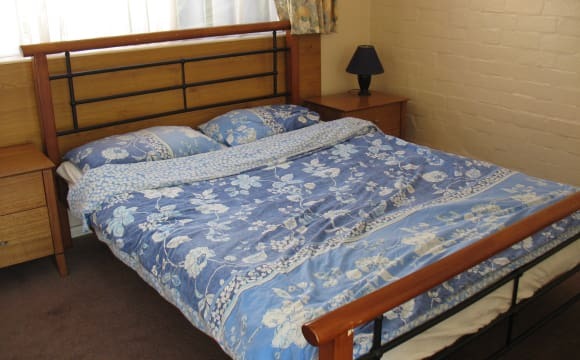 * Buses to surrounding suburbs EASY TERMS: *DEPOSIT/BOND = 1 Week's Rent *RENT Paid Weekly (preferably online) *MINIMUM STAY - One Week *NOTICE TO VACATE - 7 Full days *BILLS Included (gas, electricity, water) *"NO PARTY POLICY" Applies Please Quote: "Flat Code: BP13"
ONE BEDROOM APARTMENT- Clean and Attractive Directly opposite St KILDA BEACH Suit: a TRAVELLING COUPLE on WORKING HOLIDAY VISAS Close to: *St Kilda Beach *Fitzroy St night life *Acland St *Shops *Restaurants *Bars *Cafes *Trams 12, 16 and 96 (20 minutes to CBD). EASY TERMS: *DEPOSIT/BOND = 1 Week's Rent *RENT Paid Weekly (preferably online) *MINIMUM STAY - One Week *NOTICE TO VACATE - 7 Full days *BILLS Included (gas, electricity, water) *"NO PARTY POLICY" Applies Please quote Flat Code: "BP12"
Whole apartment for rent at $500/week. This one bedroom apartment is strategically located. 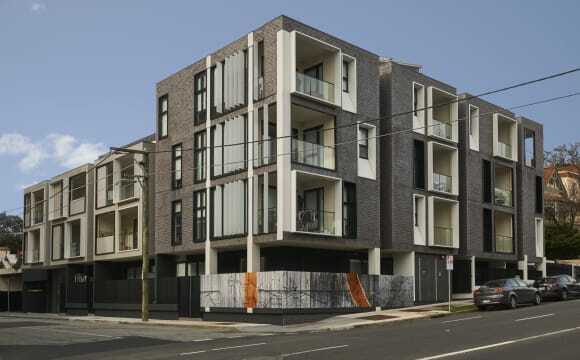 It is close to South Melbourne market, grocery stores (e.g., Woolies, Coles etc), restaurants and tram services. It is fully furnished and is suitable for those who are looking to just wheel in their luggage and make this place their home from Day 1. Perfect for short term stay. First come, first serve basis. ‘Sackville House’ Fully Furnished &amp; Includes Utilities &amp; Internet. 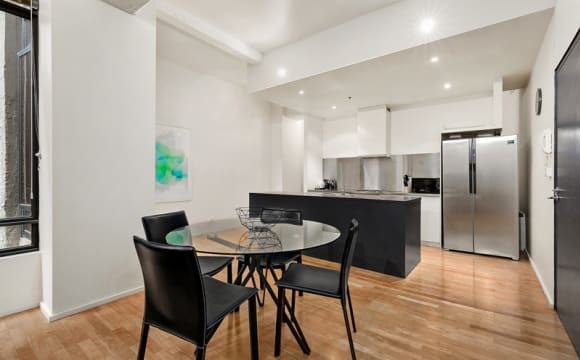 Our fully furnished apartment situated on the Paris End of Melbourne is lavishly designed to offer contemporary living in great locations taking into account proximity to transport, universities and city centres. The weekly rental rate includes: - A fully furnished apartment - Including home-wares - Utility connection and ongoing usage charges; - Unlimited Internet data. *Flexible Lease Terms. Minimum Stay - 1 month Only 27 apartments in the complex, Sackville House is sure to impress. 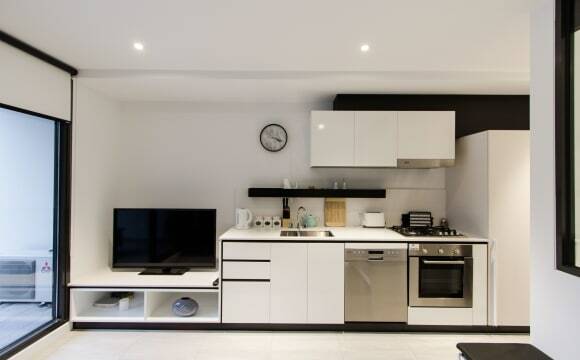 Positioned on the 1st floor, the apartment comprises a fully equipped spacious kitchen including oven, microwave, spacious open plan living and dining areas, heating and a modern bathroom with laundry facilities. About the Location: Perfectly positioned at the Paris End of the CBD, you will revel in the array of award winning cafes, restaurants and hidden bars nearby and with Collins Street high end boutiques just moments away. Easy access to all the Theatres, Treasury Gardens, Federation Square Arts precinct and Melbourne famous sporting arenas. Call or message Jarryd Bow today to arrange a viewing. Bella is the missing puzzle piece of your Melbourne experience. How can you resist the temptation of being on the 29th floor of this absolute river front building, looking out to the entire CBD lighting up at night, regular fire shows on the hour, elegant river banks where people celebrate over drinks at Pony Fish Bar or on a boat rafting on water, or romantic dinners at a series of award winning restaurants below Crown Casino. Walking downstairs and immediately you will be caught up in a crowd of audience observing talented artists tossing fire sticks between their hands, crafting up a trick of magic, or painting 3D drawings on the street. Main Features - All included - power, water, gas, furniture, appliances, linens, towels, toiletries, essentials, basic utilities - Unlimited WiFi - Netflix - Gym, Sauna, Indoor Swimming Pool - Capsule Coffee Machine - Furnished - Views - Free Parking - Superb location Developed by Frasers, Freshwater Place is a premium high-rise residential skyscraper situated in the famous riverbank suburb named Southbank. It was the 3rd tallest building in Melbourne at the height of 205m until very recently and will forever be one of the most iconic residential towers in Melbourne. Take a sip of coffee at the breakfast bar while gazing at an unencumbered view of the city and Yarra River through the balcony doors of this unique 50sqm apartment located at the 29th floor. 1 bedroom 1 bathroom with underground parking. Reverse-cycle split system air conditioning and heating located in the living room. 9 minutes walk from Flinders Street Station - the centre of Victoria's public transport, nearby places are cafes and restaurants, IGA, Convention Centre and the Crown Casino. Facilities Walking into the apartment, luxury and prestige fills every corner, from a modern kitchen with polished stone bench top, to a super-sized pantry for all your culinary needs; from an intricately designed bedroom and ensuite (by renown Melbourne based Interior Design company), to a million dollar view quietly distracting you from 'some evening Netflix on the lounge'. The building is renowned for its high security system, 24 hour concierge with underground parking and an enclosed private balcony. Modern and well equipped kitchen with gas stove, oven, microwave, stainless steel appliances, Fisher &amp; Paykel dishwasher, pots, pans and utensils, reverse-cycle split system air conditioning and heating located in the living room, iron and ironing board, washer dryer combo, 49" Smart LED TV with Netflix, WIFI, Free parking, and a private outdoor balcony. Extras - Fortnightly cleaning packages are available for additional $100/week - This apartment sleeps up to six people. Fees &amp; Rates - A cleaning fee of $150 will apply for cleaning the apartment after your stay. The fee will be taken from the bond and is dependent on the level of cleaning required to prepare the apartment for the next stay - We do our best to accommodate the prices detailed in this ad, however, prices may change if the length of your stay is less than 1 month or if your stay is not commencing within 1 week of the availability date - please inquire Seasonal Rates: Jan - $950/week Feb - $950/week Mar - $950/week Apr - $710/week May - $810/week Jun - $710/week Jul - $710/week Aug - $710/week Sep - $710/week Oct - $710/week Nov - $710/week Dec - $810/week Send us the dates you would like and we will quote a fixed weekly price for your stay. Contact now to organise your personal inspection.